I coached the 9:45 and attended the 11 session (led by Coach Jeffy). After yesterday’s barbell challenge, I wanted to ensure that I didn’t even allude to barbells today. Ouch. That hurt. 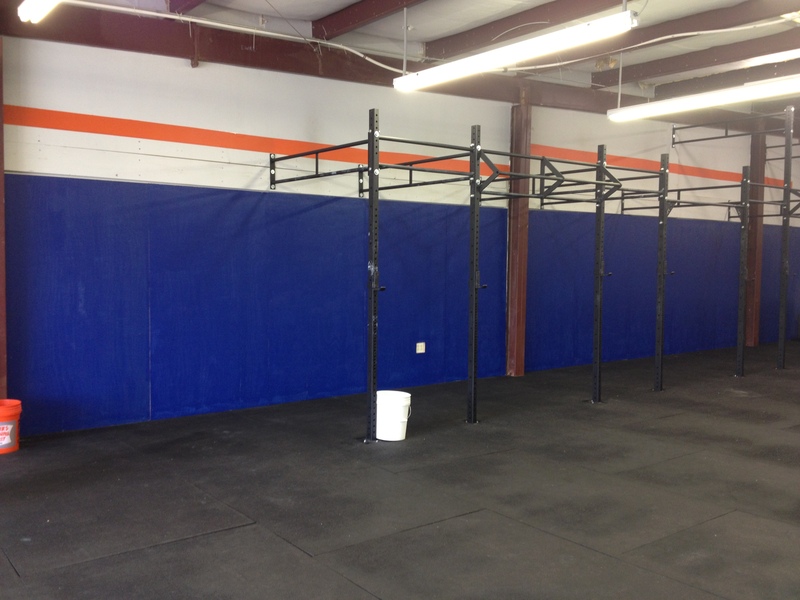 My forearms were still aching from rope climbs and pull-up rig challenge. Twisting box jumps overs were miserable, and I couldn’t seem to get in a rhythm. I was also concerned with banging my left leg. 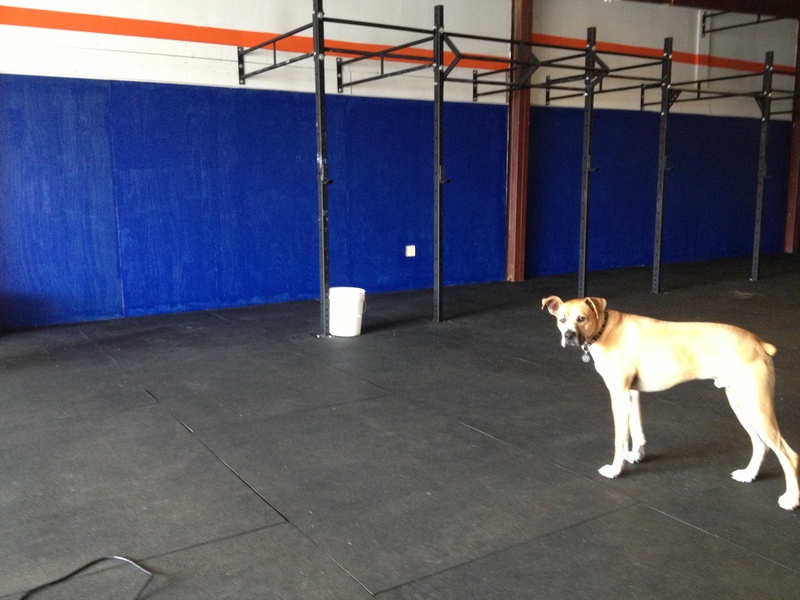 I completed 6 rounds + 40 double unders + 10 twisting box jump overs. 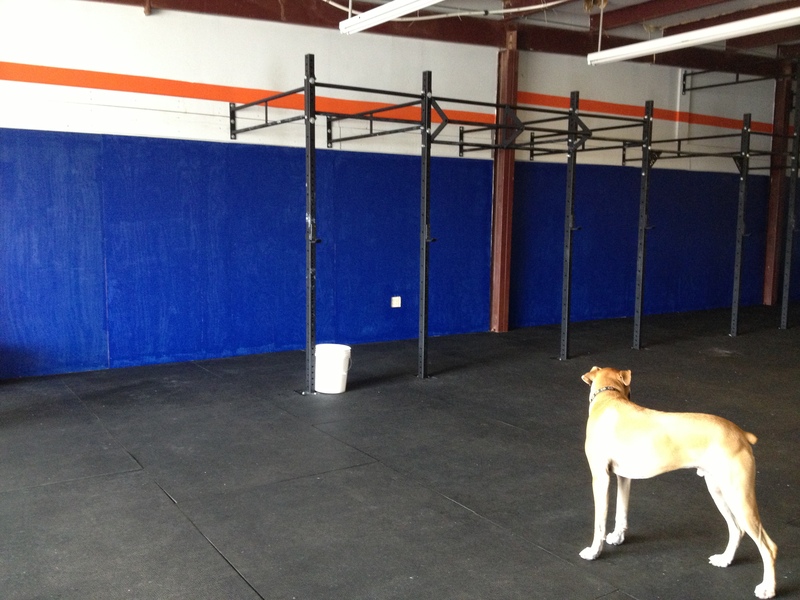 Jeff and I painted the wall and extended the wall ball line. It looks great! ‹ PreviousRidden hard and put away wet. I love the added color!